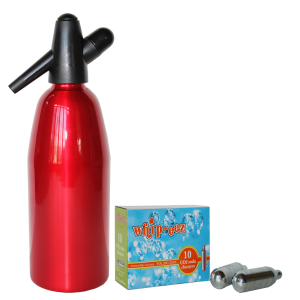 The rubber coating on this aluminum soda spritzer makes for a nice non-slip surface for a better grip. 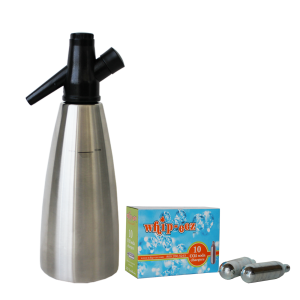 Use this soda siphon to prepare pure soda water, sparkling refreshments & cocktails in minutes. 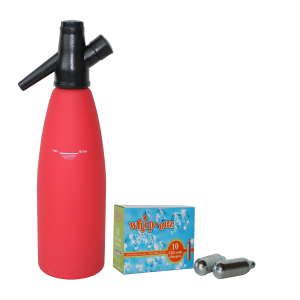 Making sodas with Co2 cartridges and soda siphons is back in style. 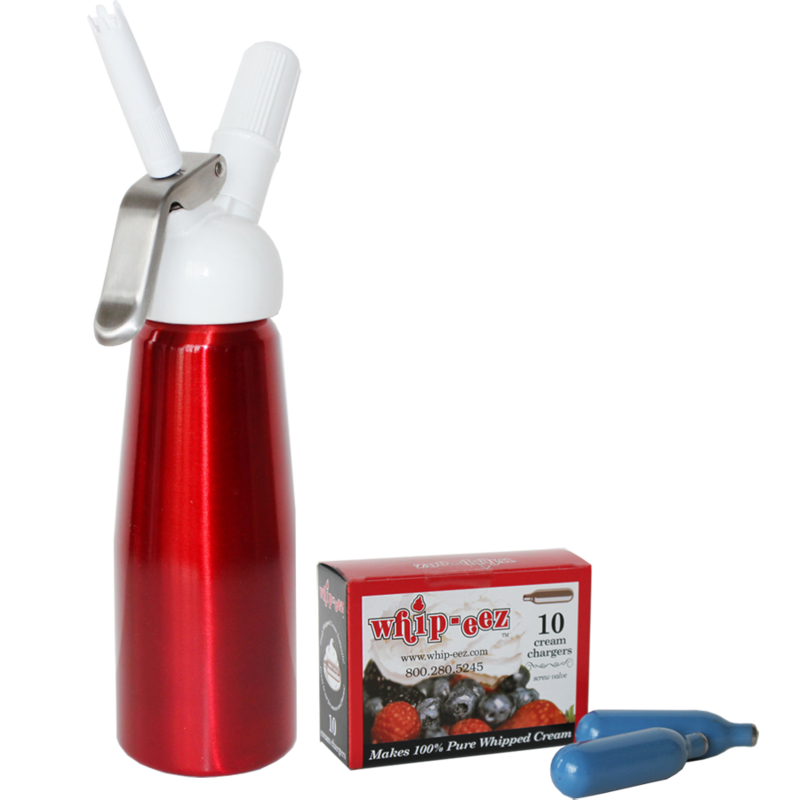 Whip-eez soda spritzers withstand the pressure better and are more durable than their ancestors. 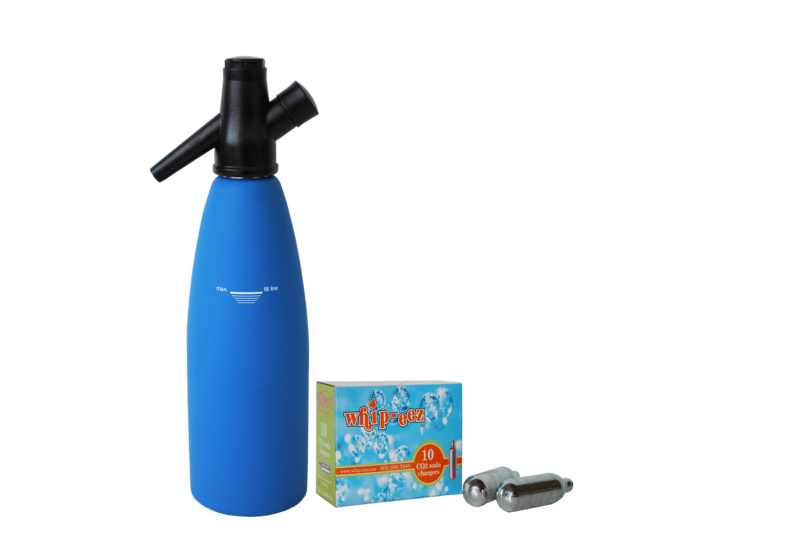 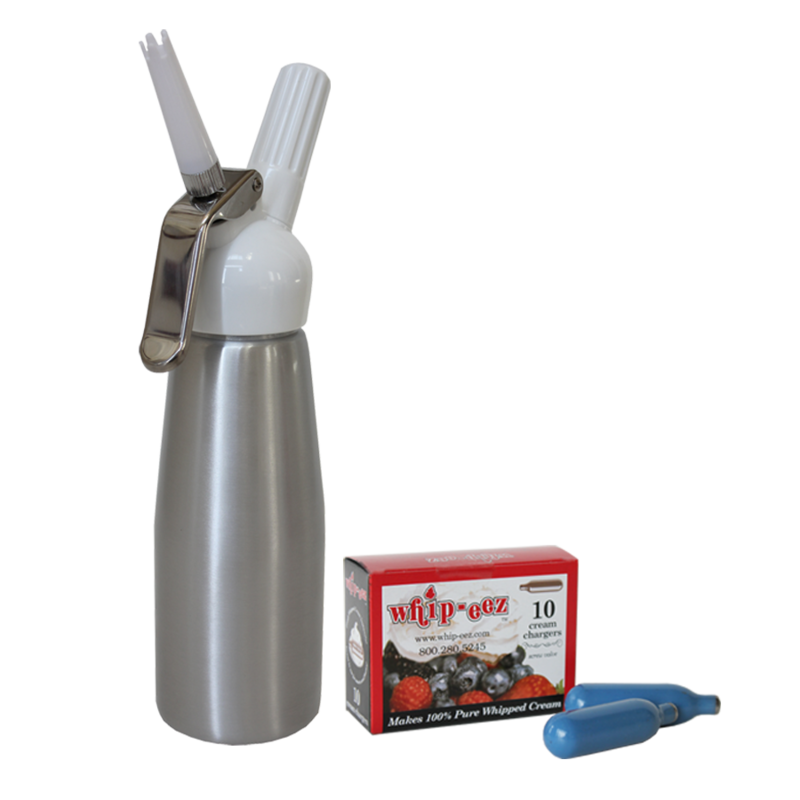 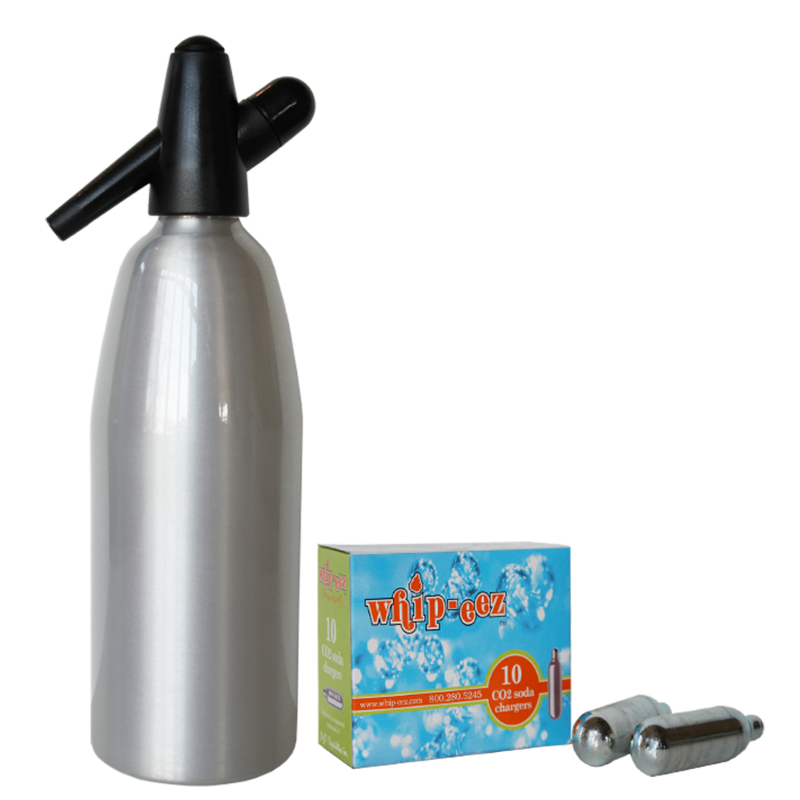 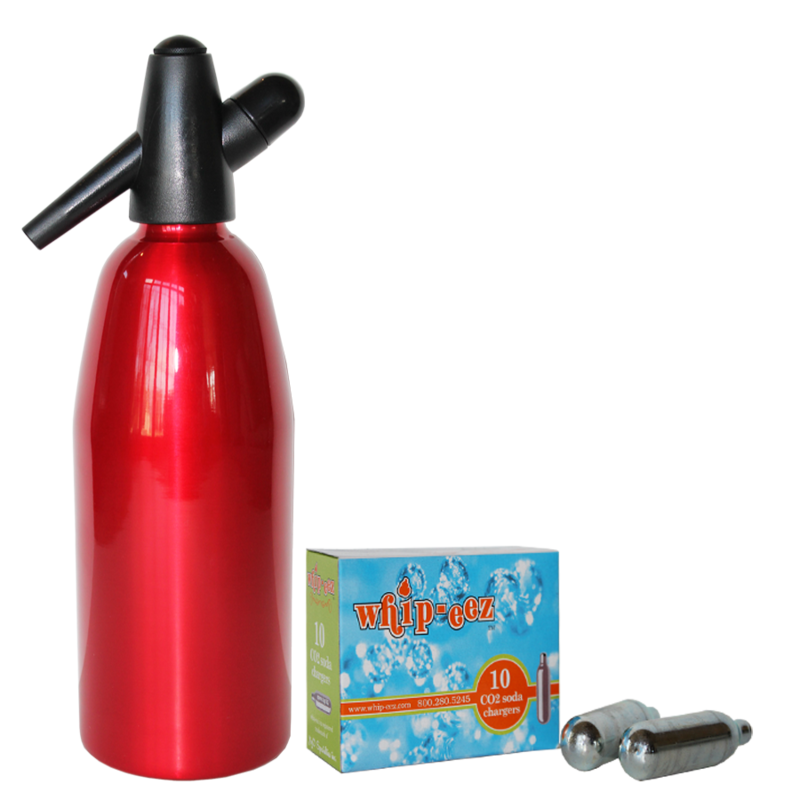 See some recipes for uses of this Restaurant Quality Siphon Soda Maker and Whip Cream Dispensers!